All activities will proceed as planned as long as we have at least three youth and one other adult participating in the event. If we can’t get at least three youth to commit and rsvp for any event, the event will have the chance of being canceled. April 14, Canceled due to conflict with schedules. July 12, 7-11 pm, Harbor youth lock in- Minute to Win it! July 14, 11-12:30pm, ALL YOUTH groups outdoor activity- Minute to Win it with the congregation! For more information please contact Heather 330-635-4783, celcyouth1@gmail.com. The Harbor Youth have been given a new home to call their own. We will be converting the old storage space in the social hall for their new space. 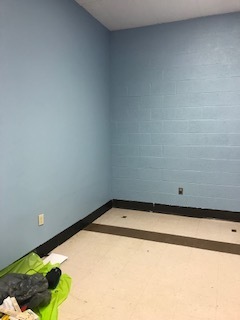 We are looking for donations to help make the room more comfortable. If you have any of the below items, please send a photo of the item(s) to celcyouth1@gmail.com or if you would like to make a monetary donation please put “Harbor Youth” on the memo line. To eliminate as many allergens as possible we are asking donations come from a smoke and pet free home.